This report examines the Chequers White Paper and compares its proposals with four alternatives set out by contributors to this website. No particular way forward is advocated by BriefingsforBrexit. Our preference is for the practical and the argument is that several alternatives do exist. It is generally agreed that Theresa May’s Chequers Proposals are a dead duck, although the PM continues to describe them as the only alternative to ‘No deal’. The advantage of Chequers in her eyes is that it achieves frictionless borders In Britain and Ireland without technically remaining within the single market and customs union. For Brexiteers like ourselves, Chequers is much too close for comfort to both of these. First, let us briefly examine what is in the Government’s White Paper. The White Paper ‘Future Relationships Between the UK and EU’ aims in the PM’s words to ‘leave the EU without leaving Europe’, preserving ‘frictionless access across UK: EU borders, saving jobs on both sides, making new arrangements for services, delivering undertakings on the Irish border and maintaining security cooperation with the EU’. It purports to honour the referendum result by ending free movement of people, allowing the UK to make new trade agreements across the world, ending financial contributions to the EU, and leaving the CAP and the Common Fisheries Policy. A new free-trade agreement with the EU is at the centre of the proposals although is strangely played down in the White Paper itself. What this list of positives does not say is the proposals would bind the UK close to the Single Market with the UK adopting EU regulations on products (the euphemistically named ‘common rulebook’) without influence on their content. At the same time the UK promises not to undercut EU standards on employment regulations, environmental regulations, competition policy or on financial support to firms in disadvantaged regions or otherwise requiring support. Nor does the White Paper say that in practice this wide set of constraints on UK economic policies will make it difficult, if not impossible, to negotiate new trade deals, as the US president, Canadian PM and former Australian High Commissioner have confirmed. The PM denies that new FTAs would be ruled by the White Paper proposals, but clearly this is a controversial area. In short, the White paper proposes to prevent future UK governments from using a range of policies to make the UK economy more competitive. It thus removes what the EU most fears about Brexit. In return the UK hopes to get frictionless borders removing the danger that firms in the car, aircraft and other important industries will be tempted to leave the UK. This danger of losing major firms must be taken seriously and it should be recognised that it motivates pretty well the whole White Paper strategy. It also underlies the one-eyed approach taken to the Irish border, an issue which could be tackled without the whole UK staying so close to the Single Market, as successive BfB articles have argued . The key question is whether it is necessary to concede so much to Brussels in order to obtain a frictionless border for certain companies. We should note that a frictionless border essentially means RoRo ports and particularly Dover. The British Ports Association, representing most other ports, says it is able to deal with any Brexit eventuality. Articles on this website and on the IEA website and by the ERG have argued that electronic customs clearing, now becoming the global norm under the WTO’s Trade Facilitation Agreement (TFA) which the EU fully accepts and has built upon, will allow frictionless borders. Automatic vehicle recognition technology will prevent queues at RoRo ports, but the government has never taken this approach seriously and has never explained why. At some point over the next year this approach was side-lined and the alternative ‘new customs partnership with the EU’, attempting to remove border controls altogether, came to dominate. The ‘highly streamlined customs arrangement’ was not only dropped but was described as not an option. It seems likely that EU and Irish opposition, including the term ‘magical thinking’, caused the change of tack. The Chequers White Paper, and its reception by the Cabinet and Conservative Party, initially seemed to have set a problem for Brussels. On the one hand Brussels wished to reject key White Paper proposals and revise others to their advantage. On the other hand, they saw that doing this would strengthen the hand of Tory Brexiteers. In particular, Brussels rejected the key proposal for a ‘Facilitated Customs Arrangement’ (FCA), which enforces EU tariffs at UK borders in order prevent third countries using the UK as a backdoor to EU markets (importers to the UK can claim rebates). The EU’s natural trajectory may have been to push Theresa May closer to the Customs Union and Single Market, and threats to Mrs may’s survival as PM have receeded. In any event the Chequers approach was rejected at the Salzburg summit. The Chequers White Paper is thus unlikely to survive in its present form. Attempts to make it more attractive to the EU will be rejected within the Tory party. Alternative proposals will be needed, and it is these we discuss in this dossier. Four different approaches are outlined, two of which would avoid the so-called transition period and would avoid or minimise large payments to the EU. The WTO solution involves trade with the EU under the rules of the World Trade Organization and without any specific free-trade or single market arrangement with the EU. This what we currently do for exports to the rest of the world beyond the EU and the EU’s partners in free trade agreements (most recently including Japan). The key WTO rules are firstly the ‘most favoured nation’ (MFN) principle, dictating that any tariff or regulation applicable to any one trading partner applies to all partners unless these are in a separately negotiated free-trade agreement. Secondly, WTO rules insist that any regulations should apply to necessary safety and customs checks and should not be introduced as barriers to trade. In this situation, without a new FTA with the EU, the EU’s common external tariffs will apply to EU imports from the UK. These tariffs are zero or minimal for many products but are 10% for cars and textiles and much higher for many food and drink products. Whether the UK erects tariffs for imports from the EU depends on our trade policy after leaving the EU. However, any tariffs we do erect will apply to both the EU and to other countries unless we negotiate new FTAs or inherit existing FTA’s from the EU including those with Canada, South Korea and Japan (it is not fully clear how many of the latter can be easily inherited but some countries have indicated a willingness to be helpful ). This WTO approach is the clearest break with the EU since it involves being outside the Single Market and Customs Union or any version of them. It is perhaps also the most forward-looking solution in the sense that it strikes a clear new direction for the UK. It avoids any attempt for the UK to ‘cherry pick’ its way through EU institutions and hence meets the stated needs of EU negotiators (but not necessarily EU firms and citizens). A WTO strategy is often called a ‘no-deal’ approach. What is being discussed here is indeed what economists term ‘no deal’, by which they mean no specific trade agreement with the EU. Many deals will however be needed on specific aspects of trade and movement. Most countries trading with the EU on WTO terms also have a number of side deals, mainly on services, on such things as broadcasting rights. The UK would also need these. The objections to the WTO solution seem to be fourfold. • That the EU might attempt to deny the UK access to bodies regulating such things as aircraft overflight and landing rights, technical standards for chemicals, medicines and vehicles and security cooperation. Where standards are registered by an EU body such as the European Aviation Safety Agency (EASA) there would be a need to continue as members or to establish a British equivalent with international recognition. While such withdrawal of cooperation may be used as a bargaining tactic, we take the view that no responsible EU authority would precipitate the consequent chaos in practice as the UK leaves the EU. If the EU were to deny such rights to UK companies the consequences for EU international relations and for its standing in the world would be severe. In any case, companies such as Easyjet have already transferred their legal ownership into the EU to circumvent such problems, while the Irish-owned Ryanair is already a company registered in the EU27. In fact, as we have expected, the EU is reported to be making at least temporary arrangements to circumvent its ponderous legal constraints and avoid such ‘cliff-edge’ problems. The UK is unlikely to deny similar rights to EU companies and hence these difficulties are unlikely to emerge in practice, in either direction. • That WTO rules require border checks to control product safety etc and for the payment of tariffs. The risk of border hold-ups, particularly at Dover, are a key worry for the Government because of the potential impact on just-in-time manufacturers and cross-border trade in perishable items. Our view is that practical alternatives exist, using available technology, which allow a free flow of vehicles at RoRo ports. The EU might try to use a need for regulatory checks to maximise border checks but since these are clearly not necessary, at least in the short term since there is currently full regulatory alignment, such checks would be contrary to WTO rules. The situation for companies with pan-EU supply chains would be even easier with a free-trade agreement and we discuss this below. Either way, the White Paper proposals to stay close to the Single Market and Customs Union are a sledge-hammer to crack a nut. • That EU tariffs will apply to UK exporters of goods to the EU and are likely to result in a reduction in either export volumes or export profits. This possibility is almost invariably described in the pro-Remain media as catastrophic or disastrous for the UK economy. Our belief in contrast is that the effect of EU tariffs should be small in most cases, especially in the context of the 15% depreciation of sterling following the Referendum. Even where UK exporters import many components from the EU, the existing depreciation should be sufficient to maintain UK competitiveness. This will not however be the case for some of the 3% of UK exports consisting of food and drink products. For instance, dairy products may face tariffs of 40% or more. In these instances, high UK tariffs may be necessary as a counter-measure to allow food exporters to divert their lost EU exports back to domestic markets. The economic forecasters Oxford Economics expect that around 40% of UK exports to the EU would be diverted to other global markets and hence refute the Treasury view that trade diversion would be minimal. Better still, a free-trade agreement could remove all tariffs on UK:EU trade. • Most insidiously – that the Northern Ireland border question threatens peace in Northern Ireland’. This issue has been irresponsibly ‘weaponized’. Several BfB articles have argued that dangers to peace are hugely exaggerated (even Gerry Adams says there is no danger of a return to war and states that dissident republicans have no communal support). Ourselves plus the ERG and the IEA have all argued that solutions involving existing technology are available to deliver the Government’s aim of no new infrastructure at the border . The indifference of the British government to these solutions is another matter for future historians to elucidate. Its only response to questions in the Commons concerning informed proposals from an international expert to solve the border issue has been a one-line answer by a junior minister, saying merely that they ‘do not go far enough’. 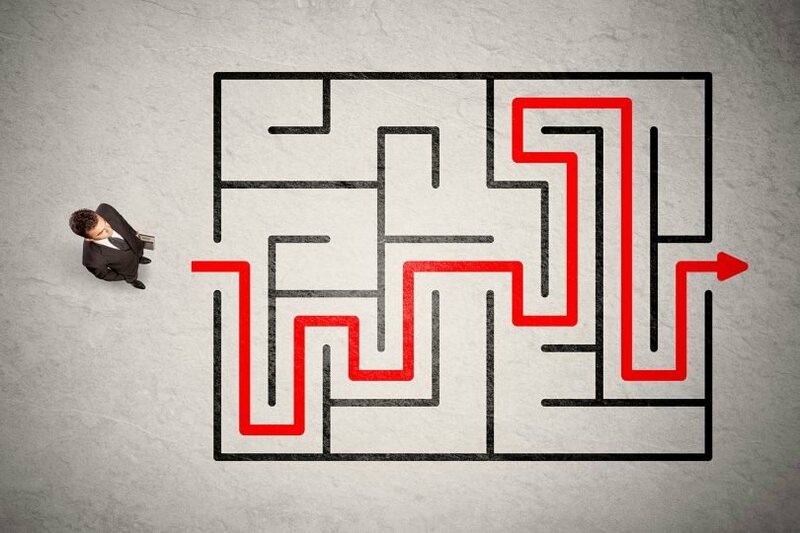 A greater obstacle to the WTO solution – perhaps the only real obstacle — is the reluctance of parliament, whether from fear or political calculation, to support it. Much of the opposition to the WTO solution appears to come from an almost universal assumption, or at least a claim, that a WTO approach would be economically disastrous. Such claims are almost never contested on the BBC or much of the media and almost none of those making such claims are asked for evidence. In fact, the evidence for severe economic damage is weak unless we believe outlandish claims that the EU will withhold landing rights or safety certificates. The impact of higher tariffs or non-tariff regulatory barriers has been shown by BfB contributors to be much smaller than claimed for instance by H M Treasury . Treasury predictions of the impact of Brexit have been shown to be hopelessly exaggerated in case of the short-term estimates for 2016-18 period where enough time has elapsed to test their accuracy. Almost nothing has been done by public bodies such as the Commons Treasury Select Committee to evaluate the Treasury’s flawed claims on the long-term impact of Brexit and the Treasury’s exaggerated estimates have been allowed – or encouraged — to permeate the public consciousness. The government has instead allowed ‘project fear’ claims to proliferate. These include claims that food shortages will arise if no deal is negotiated by next March or that food prices will rise. The UK imports 30% of its food and drink from the EU. Many commodities come in through non-RoRo ports and will be little affected, but much fresh fruit, vegetable and bakery products come through Channel ports and the Tunnel. There are unlikely to be customs hold-ups on the UK side and little reason for the EU to delay its own exports. Tariffs for food from EU sources are currently zero. Post-Brexit they will be whatever the UK government decides and could be easily be zero for many commodities. Some tariffs may be structured to give preference to non-EU producers. (e.g. New World wines, New Zealand lamb, African fruit and vegetables etc). However one looks at it, there is little reason to expect either shortages or price rises. The very opposite is more likely, especially for food items where there is no longer any rationale for maintaining existing high EU tariffs. 2. In a ‘deal’ scenario, where we have a firm transition deal, but only an in-principle deal on the long-term arrangements, the £37 billion ‘divorce bill’ could be paid as a loan, repayable by the EU if there is no deal signed by the end of the transition period. A number of estimates have been made of the economic impact of a no deal Brexit. Our detailed research, undertaken by a mainly pro-remain research group based at Cambridge University and Ulster University has shown that much of this is either deeply flawed or mis-reported . In particular we view the original’ gravity-model’ approach used by the Treasury as resulting in greatly exaggerated negative estimates for the economic impact of Brexit. More recent Treasury estimates somewhat secretively uses a ‘general equilibrium model’ which is heavily influenced by the assumptions put into the model. An independent academic study using the same model as the Treasury predicts much less negative outcomes for Brexit . We put more faith in estimates based on so-called ‘structural’ models which rely on decades of data to describe the key inter-relationships in the UK economy. Independent forecasting groups that use this approach typically predict much lower levels of negative impact than does the Treasury. Our own CBR model is of this type and our estimates for Brexit are shown in the chart below. 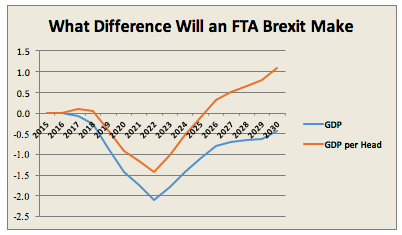 Each line on the chart shows the difference between what we predict will happen under a ‘no trade deal’ Brexit and what we estimate would have happened without any Brexit at all. For instance, the blue line shows that in 2021 GDP is predicted to be between 1% and 2% lower than would have been the case in the absence of Brexit. Our forecasts are based on the rather strong assumption that UK firms would lose 20% of their EU export markets from 2020 due to the imposition by the EU of their Common External Tariff plus a need for additional administrative burdens to continue trading. We pessimistically assume that although trade diversion to other markets would begin immediately, it would be slow, regaining the lost trade over a long period of 20 years. Imports would be less affected since the UK would quickly find alternative sources for some imports, including sources within the UK itself. Even with these somewhat pessimistic assumptions, the chart shows that we estimate that GDP in the UK would only be temporarily reduced. By the middle of the 2020’s GDP would have returned to the level we would have expected in the absence of Brexit. Importantly, per capita GDP does better than this, because we also predict lower levels of migration. GDP is thus spread across fewer people. GDP on our estimate has thus far (i.e. by 2018) been no lower than would have been the case in the absence of Brexit. The beneficial impact of a lower exchange rate has been as great as the negative impacts of both higher prices and uncertainty over the future. While the Treasury predicted falling employment and a half million rise in unemployment, the opposite has happened, as we expected. Our further expectation is that the employment rate (i.e. the ratio of jobs to working-age population) will remain higher than it would otherwise have been in every single year. Higher exports and lower imports are one factor. More important is the opportunity given to the government to increase its spending without increasing its debt. Higher inflation, in this case caused by the fall in Sterling, has its usual effect of reducing the ratio of debt to GDP. Hence the Government can spend more while not increasing its debt ratio above what it would otherwise have been. We assume that government spending could be 5% higher than otherwise by the mid 2020’s while keeping its debt ratio lower than it would otherwise have been. One variant of a WTO solution, proposed by a BfB economist, is to adjust our tariff regime by reducing or even by abolishing all tariffs for a limited period of two years . 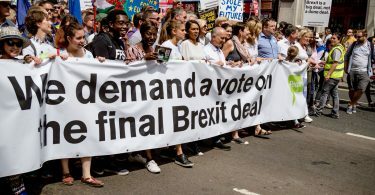 The proposal, which would be perfectly legal under WTO rules, is for a temporary period of unilateral free trade with the aim of radically altering the dynamics of the current negotiation process with the EU. This would involve the UK ditching the proposed transition period and announcing that from March next year, an independent trade policy will be followed. Initially, the UK will not apply any import tariffs against any country – as it is allowed to do under WTO rules – and will recognise EU goods as being compliant from a regulatory perspective. The UK will also conduct minimal border checks, perhaps 0.1% of consignments from the EU. These can be dispensed with entirely for large trusted firms such as the car manufacturers who would then face no difficulties with their supply chains except in connection with tariffs imposed by the EU. 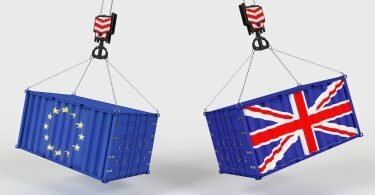 Removing UK tariffs would, in the meantime, spur some diversion of UK agricultural imports away from EU producers – French and Italian wine producers would face sharper competition from Australia and California, citrus fruit imports from non-EU destinations like South Africa would also be encouraged. At the end of the two-year period, the UK’s Most Favoured Nation [MFN] tariffs would revert to the current rates applied by the EU, meaning substantial tariff barriers on UK agricultural imports from the EU and the 10% car tariff. By this time, the UK will also have adopted its own set of product regulations which imports must conform to, having built the capacity to do this in the meantime. During the two-year period, sensitive sectors such as agriculture will continue to receive subsidies broadly similar to now, plus assistance to alter their pattern of production where necessary. This proposal has the advantage of not raising prices for UK consumers and firms (including just-in-time manufacturers) in the immediate aftermath of a ‘no deal’ Brexit. Prices for food and clothing from non-EU sources would be reduced. Crucially, this proposal allows the UK to turn the tables on the EU on trade. During this two-year ‘open border’ period, all the UK’s trading partners would be invited to talks on free trade agreements, to avoid having to face MFN tariffs at the end of the two-year period. Trade partners such as the US, Australia, New Zealand and perhaps the EFTA states will be keen to reach free-trade agreements with the UK as soon as possible to lock in their improved market access and steal a march on EU producers. Will the slower-moving EU be able to act in time to prevent a considerable loss of competitive advantage in the UK market? German car producers would go from having a 10% cost advantage now over producers from much of the rest of the world to a 10% cost disadvantage – a 20% swing that, together with the 15% sterling depreciation that has already occurred, would risk their sales collapsing. Such unfavourable swings in the tariff ‘preference margin’ would be far bigger for other EU sectors such as wine and meat producers. A downside from this plan is that some UK exporters in sectors like cars, agri-food and clothing, where EU tariffs are relatively high, would be at a disadvantage compared with their current situation. They would face sharper competition at home from non-EU imports (due to the suspension of UK tariffs) plus higher barriers to exports to the EU (which would impose its Common External Tariff regime on the UK). To offset problems in the car industry, tariffs could be raised to EU levels for finished vehicles and kept at zero for components. The £9 billion of food exports to the EU would face high EU tariffs in most cases, only partly offset by the depreciation in sterling, and strong competition might occur from non-EU producers once tariffs were reduced. Temporary subsidies might be necessary to help producers and farmers to continue to export or to diversify. Some UK food production would be diverted to non-EU world markets. The temporary nature of the tariff-relief would deter global producers from ramping up production to serve newly profitable UK markets, but problems of dumping could arise in periods of global over-production. At the end of the interim period either an FTA with the EU would be in place or MFN tariffs would kick in, levelling the playing field again. Moreover, EU suppliers in these sectors would (as noted above) also be hit by greater competition in the UK market from non-EU firms. It is likely that the EU will eventually decide to strike a broad-based free-trade deal with the UK under these circumstances. But even if an EU trade deal is not struck in the two-year period, the UK will have had time to build an efficient border system for trade with the EU and put in place a new and independent regulatory system, allowing future trade frictions to be minimised. Crucially, the UK will also have had time to diversify its imports. And once UK firms find other suppliers and restructure their supply chains away from the EU, they may not be keen to change back – a factor the EU might want to consider carefully. Tariff suspension or reduction would cause a sharp fall in the prices of many items of necessity, especially food, hence helping the mass of the population. It would bypass the lack of preparation made by the government by giving them a period to prepare for a new tariff regime. And it would give us and other countries a strong incentive to negotiate future trade agreements. 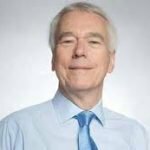 Choosing to continue as temporary members of the EEA has been discussed for some time as a fall-back position, and the idea was given a new stimulus by articles by Rupert Darwall (reproduced on the BfB site), which were followed up in several newspapers and most recently by Nick Boles MP. The EEA is not considered by most Brexiteers as an acceptable end-point, far from it. It would leave us within the Single Market with its ‘four freedoms’, including free movement. This would place us in the position of being a subordinate rule-taker of the EU. Some flexibility on rules may be possible as Lord Owen has suggested using an example from Norway, but in practice this is likely to be minimal . Richard Tuck cites the abolished Norwegian Dock Labour Scheme as an example of the EU’s reach into EEA law . In that sense, long-term EEA membership would be comparable with the present Government’s policy outlined in its White Paper. Nor does the EEA involve remaining within the Customs Union and hence does not fully solve the supply-chain issue — although this seems not to be a problem for Norway (or for Switzerland in a slightly different position). Temporary EEA membership would however have the political advantage of giving ‘Worried Remainers’ in parliament – and even concerned Brexiteers – a recognizable and reassuring back-stop. We would not be trapped into a ‘deal’ or a ‘transitional period’ on EU terms as an alternative to ‘crashing out’ but would continue basic trading relations with the EU after Brexit under the rules of the EEA. Again, this would give a future British government breathing space to organize a future trading regime with our global partners. Britain could then leave the EEA when it felt ready by simply giving twelve months’ notice. However, the British government’s official position is that this is not legally possible: that Britain cannot be a member of the EEA without being either a member of the EU or a member of EFTA, and consequently that our membership of the EEA lapses next March. Faced with this disagreement, the first thing to do is to establish an authoritative legal position, and so Briefings for Brexit has published a detailed and authoritative analysis by Sir Richard Aikens, Professor George Yarrow and Professor Guglielmo Verdirame. They argue that the Government is mistaken: after Brexit we shall continue to be a member of the EEA under international law. In principle this means that we can remain within the EEA and hence the Single Market as of right until we decide to leave when we are ready to do so. There would be no ‘cliff edge’, and the financial ‘divorce payment’ would reflect only genuine obligations and not a bribe to agree a transition period. The length of our stay inside the EEA would be entirely of our choosing, and no future commitments by the UK on regulatory alignment need be made. The disadvantages of continuing as EEA members should be judged in comparison with an EU-agreed transition option. We would continue to be subject to Free Movement, and subject to EU regulations and in practice to the final authority of the European Court of Justice. However, Professor George Yarrow argues that in reality EEA membership is less constraining. Nevertheless, the EEA is likely to be acceptable only as a short-term expedient whose duration we would control. Because the proposal is temporary it is far better than the indefinite subordination envisaged by the government, which would be buttressed by new formal agreements and legislation. The EEA, in short, would be a glide path out of the EU and not a permanent replacement. Remainer politicians and lobbyists might try to make EEA membership permanent, and a weary country could acquiesce in what seemed the path of least resistance. This is a danger, but a lesser danger than the arrangements proposed by the White Paper. The EEA would provide a ready political and legal escape from that trap. The real issue is whether it is an attainable objective even if legally justified. Some lawyers take the view that the permission of EFTA and EU members would be needed to continue. Even if a positive legal interpretation on the UK’s right to remain in the EEA were upheld, the EU might resist it, in which case the UK should seek international dispute resolution if necessary. The UK government should now make it clear that it will reserve its rights under the EEA Agreement. This in itself might persuade the EU to show more flexibility on alternatives. For the EU the simplest approach to economic relations with a post-Brexit UK is a free-trade agreement [FTA] . The EU already has such agreements with over 60 states including Canada, Japan and South Korea and is in negotiation on many more. An FTA with the UK should be the simplest of matters since there is already free trade and complete alignment on product regulations. The agreement could simply propose to carry on as at present, at least for trade in goods. Indeed, a UK:EU FTA would be the world’s first free-trade agreement negotiated between two countries which already have free trade and in which all regulations are mutually compliant. The Canada FTA (CETA) provides little on financial services and the UK initially hoped to build on this in what has been termed a ‘Canada-plus’ agreement. The UK now accepts that in reality the best it can get is a more limited proposal for financial services based on the sort of ‘regulatory equivalence’ currently in operation with the US and Japan, and we have argued that this is essential. There has been no discussion we know of about bargaining access for the £34 billion of EU agricultural imports against access for the £40-50 billion of UK financial services exports to the EU . An FTA seems to be the obvious outcome since it holds clear advantages for both the UK and EU. An FTA would involve no tariffs on goods and the UK would hope to do better than Canada on services. Modern FTAs are more concerned with regulations than with tariffs and the UK would intend to establish equivalence for its existing regulations (which are of course fully compliant with those of the EU) and an arbitration process outside the ECJ for future regulatory divergence and other problems. It is unclear why the UK Government has shown little interest in a straight-forward FTA especially since one has been on offer from the EU for over a year, but two major problems are emphasised. One problem is that financial services are more important to the UK than to any other country with which the EU has a trade agreement. Financial services are not usually included in trade agreements and the UK would need to change this. The EU have taken the view that only a minimum FTA is on offer and hence it is not clear that an FTA appropriate to the UK would be attainable. Switzerland, with its 275 banks, is an example of the difficulties and alternatives facing a country outside the EU. Switzerland has a series of 120 bilateral sectoral trade agreements with the EU, negotiated over decades in which the EU thought that the Swiss might join the Union and now regretted by the EU. The EU also insists on free movement although this is resisted by the Swiss public. Despite Swiss desires, financial services are largely excluded from its trade agreements with the EU. Instead Swiss banks operate subsidiaries within the EU mainly in London. In practice Swiss retail banking is mainly domestic while wholesale business is tolerated across the EU. It is private banking for the wealthy that is keenest to secure better access to the EU. These banks are attempting to establish equivalence with the panoply of EU financial services regulations, but this is proving messy. Swiss financial services firms can do business in EU countries by observing local rules, but these are complex and subject to variable scrutiny. Alternatively, EU clients can approach Swiss firms as long as meetings are not held on EU territory. All of this is subject to changes in EU rules and hence is uncertain. Secondly, an FTA does not avoid border customs difficulties and hence the possibility of slowing consignments for just-in-time manufacturers. In practice these problems appear to be minor and it is not obvious why the Government has exalted them to a position of driving its entire strategy. Almost all customs clearance in nowadays electronic. Major ports have no customs posts and few consignments are checked, usually after receipt of specific intelligence on drugs or contraband. Border posts on major roads between the EU and either Norway or Switzerland have few hold-ups and use automatic vehicle recognition technology to monitor traffic. The European Parliament’s own customs expert views even existing practice as outdated, and even smoother systems involving mobile phone and GPS technology have been successfully trialled on the Norway-Sweden border. Such technology is of particular relevance to the Irish land border where physical infrastructure could be vulnerable to attack, but unaccountably the UK Government has paid it almost no attention. In any case, as the ERG and IEA have pointed out border checks can be avoided by using the same arrangement to collects tariffs as are currently used for VAT . The Government may have been influenced by flawed assessments undertaken by the Treasury and others showing that the economic impact of a free-trade agreement to be almost as large as that of no deal at all. The general flaws in the Treasury analyses were referred to above. In the context of FTAs another flaw was that many of the FTAs in the Treasury analysis were between emerging economies and were in some cases temporary. None remotely approach the situation of the UK which would start with complete regulatory alignment for goods and would be likely to remain largely aligned as part of global product regulatory changes. In short, a free-trade agreement on goods, giving tariff-free access to each other’s markets plus equivalence on regulations for most goods and services would provide most of the economic benefits desired by each side. If this was augmented by a customs agreement under which electronic clearing and smooth border transits with few vehicle checks, and perhaps none for major firms with ‘trusted trader’ status, then the whole question of flexible borders would largely disappear. Dispute resolution could be managed by a joint tribunal as is normal in trade agreements without the ECJ having any jurisdiction within the UK. Such an agreement would minimise EU concerns about special treatment for the UK which might endanger the integrity of the Single Market or induce other EU member states to seek an exit. In any case membership of the Euro effectively deters almost all existing members from following the UK example. The politics of an FTA are infinitely simpler than those surrounding the July White Paper. Briefings for Brexit has not attempted to say which of these alternatives it prefers. Our priority is to preserve our democratic sovereignty. All these solutions make this possible by loosening the trap contained in the Chequers White Paper. For that reason, we would support whichever proved most practical, because the choice is essentially pragmatic and tactical, and not a matter of principle.